I will say that I was impressed with the Gamescom demo of the multi crew and large world. The flight in 1.2 is better as well and they have 8v8 matches. Well this is pretty long overdue, but better late than never. CIG finally responds to some of the worrying points that have been brought up about the project's development. Some of it is reassuring while other parts are not. It does sound like they plan to showcase the status on October 10th. To me, one of the legitimate complaints would be the remodeling of ships like the Hornet and Constellation multiple times when they have so many ships that have not been released. I can understand doing it maybe once, but at some point there needs to be recognition that they have to get going on getting more content out the door. There is a new ship being offered for a limited time, and it can be configured it different ways. One of those ways is a hospital ship. The name of it is the Endeavor Hope class. What is interesting about this ship is that will basically be a mobile spawn point in game. I originally was not planning on buying one of these, but I got to thinking it might be of more value to us then the next (and last) ship that I was thinking of buying. I had been planning on buying a ship called the Crucible, which is a repair ship. I would buy a hospital ship instead if there is enough interest from you guys (read more than one or two people). Let me know if you guys are interested. If I perceive that no one cares, then I will not waste my money on it. It is a multi- crew ship. It is too big for just one or two people to handle. AI can help crew it, but it will need some real people to defend it properly. I don't know, I think these larger ships are just too big for smaller orgs such as us to make good use of. I think the crucible and reclaimer pair well and the mining ship. The one aspect of that ship that really got me was the customization of parts aspect. I could see that going along with the scrap/parts/repair aspect and improve components in general for use or resale. But again the size is just wow huge. Have to say, not interested. Im not a derek fan and at this time not really a chris fan either. Just wanting them to finish this game. Stop developing new ships and just finish the game. I know one doesnt stop the other, but just finish a working game and then continue with updates. Those of you who have game packages that include alpha access should have received 10,000 UEC in your accounts. If you had more than one game package that includes alpha access, you will receive more. These ships come with 3 month insurance. Gentleman, I would like to officially start another RR ship giveaway tonight. As usual, anyone that is a member of either Rocks Raider's squad or someone who is part of our RR organization on the Star Citizen Site qualifies. All that you have to do is say that you are interested in one of the ships and the first person 2 people to express interest in this thread in another ship gets one. There are two ships being offered, but you can have only one of them as I hope to have two people increase their personal fleet. This is not a rigged contest, so people that I have won these giveaways in the past can win one of the two P-52s that are being offered. You do not have to post anything corny or whatever. Congratulations Badger, you are now the owner of a P-52! I still have one more to give away. I'm interested as well. Can probably put this in my Connie in place of the P-72. I'm sure we can find a use for it. Thx. It is all yours Rock. Enjoy. I want to call attention to the fact that there is an Anniversary Sale going on now. While I suspect most of you are not interested in buying anything else, you may want to reconsider at think about buying the P-72 Archimedes. The reason being that it is only $30.00 and it includes LTI. 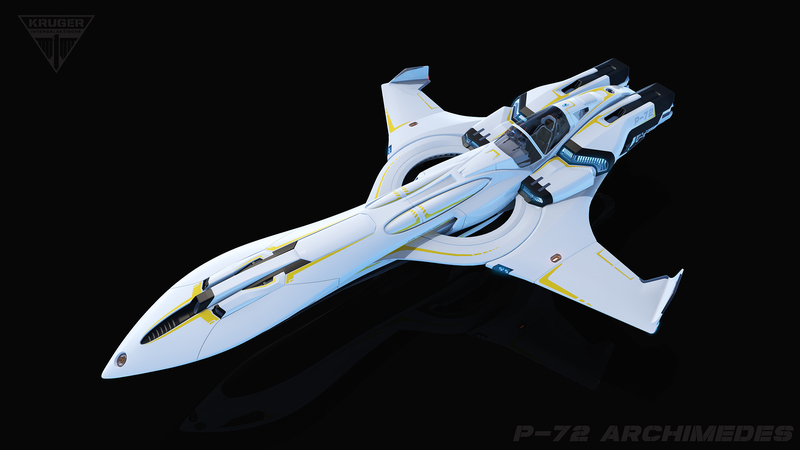 You can always upgrade this ship and whatever you upgrade to retains the LTI. It will prove to be an excellent value. This ship can be transported by a Constellation and is an agile ship that will be reliant on a mother ship to make jumps in a system. It will be available until (end of day) November 29th. PTU 2.0 has been a bit grueling. I was in the first wave of testers and have tested all versions. We are now on 2.0e. Any early backers sub 50K Cit# should have an invite now. There are still substantial stability issues but it has been improving steadily and as it improves they expand the #'s to get it to crash more for better data. I have had several 45min+ sessions with 2e but it can take 8 attempts to get logged in successfully and have a stable server. FPS is looking pretty good and multi-crew is just plain awesome in the Connie. Connie has partially stabilized turrets currently and this makes a big difference while gunning. The Retaliator's turrets are not stabilized (bug) and as such are very difficult to use effectively right now if the pilot is making maneuvers. Party system is not functional yet but they do have the contact list working and the system will list servers that have your contacts in them. You can then try to join them if there is space. It fails usually and I find a timed general launch is currently the best way to get a group on the same server. The new flight mechanic is feeling really nice. You better be anticipating your opponent and your vector if your around anything or want to survive. I like the three flight modes and QD (Quantum Drive) is a good escape tactic but you can be followed if your opponent sees the direction you jumped out on. Looking forward to getting some of you interested in joining in on 2.0. I understand not wanting to deal with the PTU but when it goes to live it would be really cool to fully man up a Connie or two and take over the FPS station. 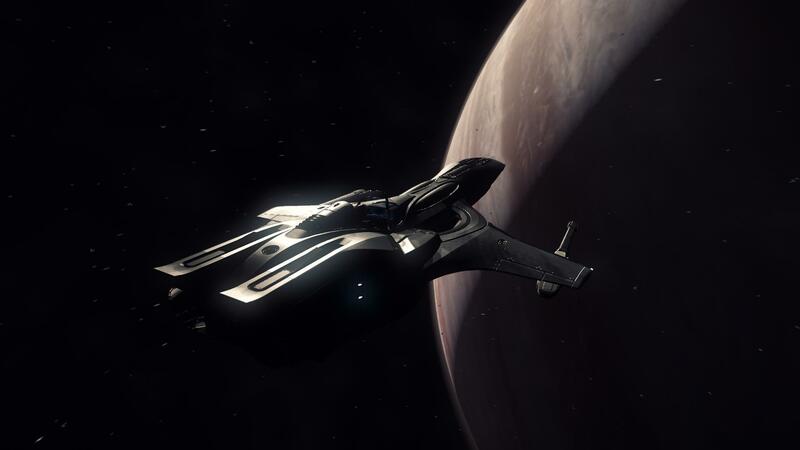 Star Citizen is currently up to $98 million dollars in crowd funding. It seems likely they will hit $100 million by the end of December. Based on what I have observed before, it is highly likely that they will give everyone with a game package some sort of reward. Cool, maybe some new bath slippers for Christmas, to go along with the that towel they gave us early on.